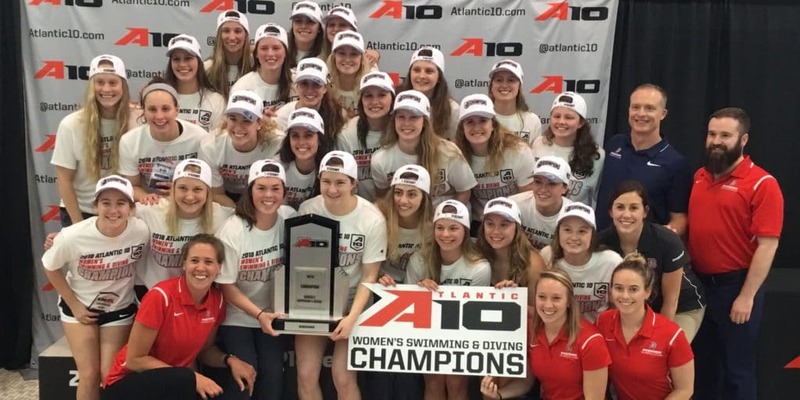 The 2018 season saw the Duquesne Dukes Women’s Swimming & Diving program finally capture their first-ever Atlantic 10 Championship by just 9 points over conference powerhouse Richmond after finishing runner-up to them the past two years. This tremendous feat also resulted in Duquesne’s Dave Sheets being named NCAA D1 Women’s Swimming Coach of the Year. It is with tremendous honor and gratification that Campaign Sports extends our congratulations to such a successful swimming program both in and out of the water (team GPA sits around 3.5). In 2017, Duquesne Swimming partnered with Campaign Sports to fundraise over $7,000 to offset their travel costs to Fort Lauderdale, Florida for their team training trip last season. On behalf of all of us at Campaign Sports, thank you Coach Sheets for allowing us to be a part of your championship tradition, we very much look forward to assisting with your next fundraising venture in the near future! If you would like to learn more about our fundraising platform, please visit us at www.campaignsports.com, call us at (877) 511-1555 or email us atinfo@campaignsports.com.